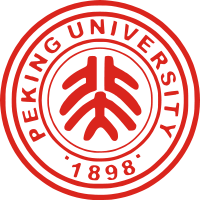 Peking University was established in Beijing in December 1898 during the Hundred Days Reform and was originally known as the Imperial University of Capital (traditional Chinese: 京師大學堂; simplified Chinese: 京师大学堂; pinyin: Jīngshī Dàxuétáng). In 1912, following the Xinhai Revolution, the Imperial University was renamed the National Peking University (國立北京大學). The famous scholar Cai Yuanpei was appointed president on January 4, 1917 and helped transform the university into the country's largest institution of higher learning, with 14 departments and an enrollment of more than 2,000 students. Cai, inspired by the German model of academic freedom, recruited an intellectually diverse faculty that included Hu Shi, Chen Duxiu, and Lu Xun. In 1919 students of Peking University formed the bulk of the protesters of the May Fourth Movement. Efforts by the Beiyang government to end to protests by sealing off the Peking University campus led to Cai's resignation. In 1920 Peking University became the second Chinese university to accept female students, after Nanjing University. 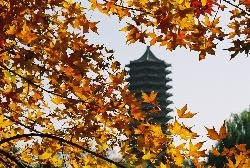 After the outbreak of the Second Sino-Japanese War in 1937 (and the resulting expansion of Japanese territorial control in east China), Peking University moved to Changsha and formed the Changsha Temporary University along with Tsinghua University and Nankai University. In 1938, the three schools moved again, this time to Kunming, and formed the National Southwestern United University. In 1946, after World War II, Peking University moved back to Beijing. At that time, the university comprised six schools (Arts, Science, Law, Medicine, Engineering, and Agriculture), and a research institute for humanities. The total student enrollment grew up to 3,000. After the People's Republic of China was established in 1949, Yenching University was merged into Peking University and Peking University lost its "national" appellation to reflect the fact that all universities under the new socialist state would be public. In 1952 Peking University moved from downtown Beijing to the former Yenching campus. In 2000, Beijing Medical University was merged into Peking University and became the Peking University Health Science Campus. The Times World University Rankings in 2006 rated Peking University as the best university in Asia, and ranked 14th in the world. The THES - QS World University Rankingsalso ranked the university 14th in the world. The 2007 ranking produced by Shanghai Jiaotong University in China placed Peking University in the top 300 worldwide, and third in China, excluding Hong Kong (behind Tsinghua University and Nanjing University). 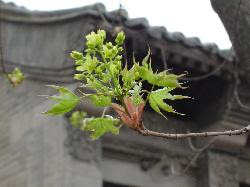 The entrance criterion of Peking University is extremely selective. Every year only the top students of each province across China can be admitted, which makes Peking University one of the most prestigious places for students all over China. Peking University is a comprehensive and national key university. The University consists of 30 colleges and 12 departments, with 93 specialties for undergraduates, 2 specialties for the second Bachelor's degree, 199 specialties for Master's degree candidates and 173 specialties for Doctoral candidates. While in a leading position of basic sciences research and teaching, the university has gained itself very successful development of applied sciences. At present, Peking university has 216 research institutions and research centres, including 2 national engineering research centres, 81 key national disciplines, 12 national key laboratories. With eight million holdings, the university library is the largest of its kind in Asia. The university has made an effort to combine the research on fundamental scientific issues with the training of personnel with high level specialized knowledge and professional skill as demanded by the country's modernization. It strives not only for the simultaneous improvements in teaching and research work, but also for the promotion of interaction and mutual promotion among various subjects. Teaching also has been emphasized. It aims to cultivate the students' practical ability and creative power. As a result, the teaching of core courses is strengthened, the content of courses is enriched and renewed and favourable conditions have been created, for the students to develop themselves in extracurricular activities. Peking University has been becoming a center for teaching and research, consisting of diverse branches of learning such as pure and applied sciences, social sciences and the humanities, and sciences of management and education. Its aim is to rank among the world's best universities in the next couple of decades, with the school's leadership placing great emphasis on developing bilateral relationships with prominent American universities for student and faculty exchanges. The campus of Peking University is located in northwest Beijing, in the Haidian district which was designated for universities. It is located on the former site of Qing Dynasty royal gardens and retains Chinese-style landscaping as well as many traditional buildings. It is known throughout China, along with its neighbour Tsinghua University, for having one of the most beautiful campuses. Beyond Peking University's main campus, Peking University Health Science Center (PKUHSC)'s campus is located in Xue Yuan Rd. where China's most distinguished colleges are located. PKUHSC's campus is less aesthetically appeasing but is nonetheless a fitting site for academics and research. In 2001, Peking University's Shenzhen campus, Shenzhen Graduate School, was set up. This campus locates at northwest of Shenzhen City. Peking University has one of the largest pools of international students in China. The dorms for international students are located at "Shao Yuan" (Shao Garden). 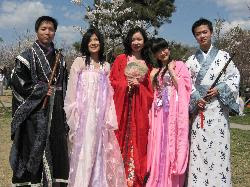 Every year, Peking University has approximately 2000 international students on campus. Approximately 40% of the international students are Korean and the remaining 60% are made up of students from most countries in the world including most of Western Europe, North America, South America, all parts of Asia, Australia as well as many parts of Africa. The university is a member of Universitas 21, an international association of research-led universities.